Cici has lived in Ponte Vedra Beach & Jacksonville Beach for over 21 years and is a fourth generation real estate industry veteran. Her Great Grandfather opened his real estate business in 1919 in Nebraska with her Grandfather and Uncle and Cici carrying on the tradition. Before officially getting into the industry; she received her degree in Political Science with a minor in Economics from Randolph-Macon Woman’s College in Lynchburg, VA. After college, she worked as a computer consultant for Ernst & Young in Washington, D.C. and eventually got into property management. This led her to a move in 1997 to Jacksonville Beach where she began her real estate career working for a national home builder. 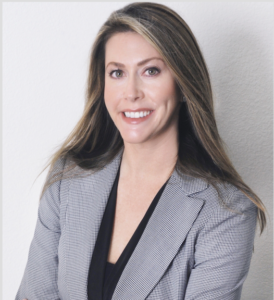 In her 20 year real estate career Cici’s expertise includes sales of new homes, existing homes and multi-family homes as well as in-depth construction knowledge, having worked directly for both developers and builders in the Dallas, Texas, and Jacksonville real estate markets. In her free time she enjoys playing tennis, any activity on the water and volunteering for several charity groups. She is also an active member of NEFAR’s Ponte Vedra Council and caravan. Having been around real estate her whole life you could say real estate is just in her blood; Cici lives and breathes real estate; it’s her passion and calling in life. Jenna Fisher has joined the Marsh Landing Country Club Realty team! 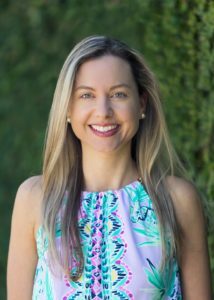 As a North East Florida resident since 2005, Jenna, a Florida State University graduate, brings her experience as an elementary school educator and Pilates instructor to MLCCR. Prior to joining our team, she taught disadvantaged and military students. As an educator, she was often garnered with praise for her proactive approach to every undertaking, her unwavering patience, meticulous attention to detail and fervent advocation for all students. Later as a Pilates instructor, she carefully applied those attributes to meet the individual needs of each individual client. As your realtor, she will work tirelessly to promote your best interests with exceptional service, extensive prowess and superlative professionalism. If you are selling, she will expose your property to the widest possible range of qualified buyers in the least span of time by using state-of-the-art technology, team collaboration and MLCCR’s superior marketing materials. If you are buying, she will provide you with the best information and market data available. You will be a well-equipped buyer with the strongest possible negotiating position. Jenna understands buying and selling real estate can be challenging. As a full-time Realtor, she will work diligently for you with constant communication and by being accessible at your beck and call. David J. Darch is one of Ponte Vedra’s most experienced and knowledgeable real estate professionals. He is a Broker Associate and a Realtor. Throughout his career he has been a Top Producer, Listing Leader and Sales Leader. He also is in the top 5% of realtors in the Northeast Florida Association of Realtors. The Florida Times Union touted David J. Darch as one of Jacksonville’s top waterfront Guru’s when it came to real estate! In 2007 David J. Darch sold more oceanfront homes than any other Jacksonville Realtor! David J. Darch has been specializing in waterfront properties for over 29 years in Northeast Florida! Marsh Landing Country Club Realty is offering in addition to a full golf membership to the Marsh Landing Country Club a beach club membership to The Serenata Beach Club for anyone who buys or sells one of David’s oceanfront listings! He looks forward to assisting you, your family and friends with all your real estate needs. Tricia has lived in Ponte Vedra for over 24 years. Before getting into Real Estate she received her degree in Sport Management at the University of North Florida. 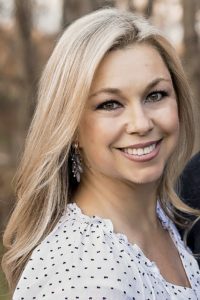 After graduating from college, Tricia joined her families remodeling business where she has played a vital role in specializing in luxury home renovations, remodels, and New Construction in the Ponte Vedra and Jacksonville Beach area. Over the past two years she has had the opportunity of helping homeowners find or recreate their dream home that they envision. Tricia is excited to be apart of Marsh Landing Country Club Realty where she can continue to grow and add her personality to an awesome team. Newman is a highly respected real estate veteran and trusted name in the real estate world. Newman relocated to Jacksonville 40 years ago after graduating from Mississippi State University with a Master’s Degree in Political Science. Newman taught college and also worked in the motion picture business before discovering his love for real estate in 1996. For 15 years, Newman worked as a sales associate and sales manager for a number of major home builders throughout Jacksonville, Nocatee and the Beaches. Over the last 7 years Newman has been assisting his customers with their real estate needs, successfully marketing and selling their existing home, purchasing a new home, purchasing an investment property or assisting with a purchase through a 1031 exchange. 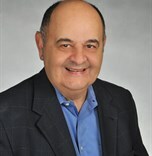 During his years in the real estate business, Newman has faced many challenging situations that he has always been able to resolve to his customer’s complete satisfaction. If you ask his customers what they think about Newman they will tell you they love him. He is warm, genuine and honest and he will work tirelessly to help you accomplish your real estate needs. Shelly offers 14 years of experience in Real Estate and New Construction in Northeast Florida including Jacksonville, Ponte Vedra Beach, Nocatee, and St. Augustine. From first-time home buyers to seasoned homeowners, Shelly helps her clients find or design and build their Dream Homes. She is a knowledgable, passionate, driven, and dedicated Real Estate Professional. 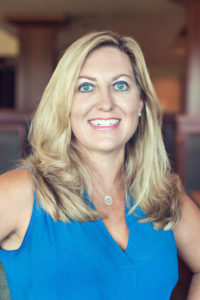 Shelly acquired two Bachelor of Arts degrees in Management and Marketing from the University of North Florida. She also holds a Masters of Business Administration from The Florida State University. Her Real Estate designations include: REALTOR® and Certified New Home Sales Professional (CSP). Shelly is a member of the Northeast Florida Builders Association (NEFBA) and the Sales and Marketing Council (SMC). As a resident of Jacksonville for 20 years, Shelly is very passionate about her city and enjoys giving back to the community. In moments of free time, Shelly enjoys fitness, traveling, golfing, boating, networking, and spending time with friends and family. She loves life and Real Estate, and integrates both seamlessly.